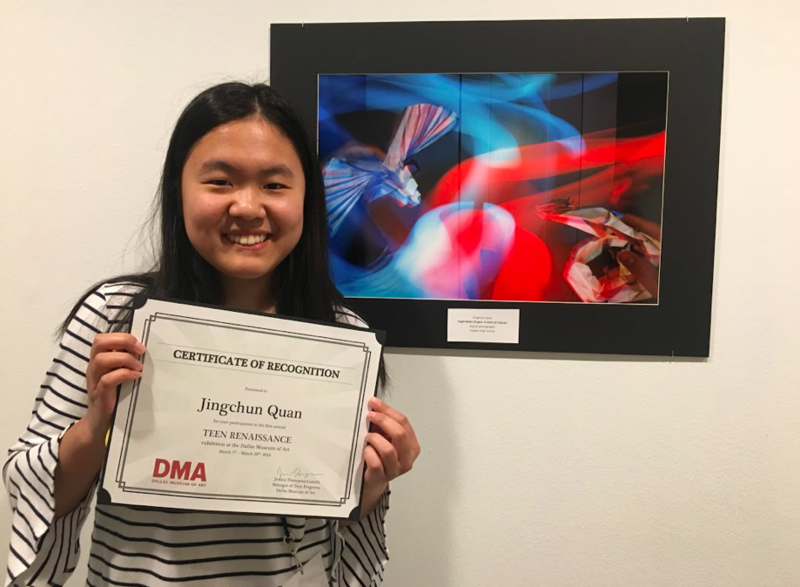 Coppell High School senior Jingchun Quan displays her certificate in front of her artwork at the Dallas Museum of Art on March 16. Quan was chosen to showcase her artwork, “Eagle Meets Dragon: A Clash of Cultures,” through a festival hosted by the Dallas Museum of Art. 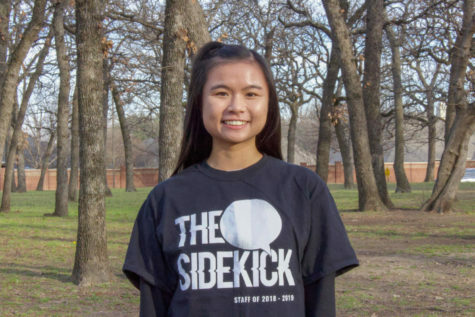 Art means something different to every person due to their own varying personal experiences; Coppell High School senior Jingchun Quan used her own background and experiences to create award-winning art. Quan took a digital photograph, titled “Eagles meets Dragon: A Clash of Cultures”, which was selected for the Teen Renaissance Exhibition at the Dallas Museum of Art. The photograph uses an eagle and a dragon with the colors blue and red to represent the ongoing battle of being an immigrant and staying close to both cultures. The dragon has red light surrounding it, representing the imperial and oriental Chinese culture. The eagle has blue light surrounding it, symbolizing freedom. Quan has been involved in art throughout her life in different ways. As middle school approached and art classes went from being mandatory to being an elective, Quan found herself at a crossroads. Ultimately, she ended up following her love for art because of the sense of freedom it provides. This is not the first time Quan’s work has been selected for the program. 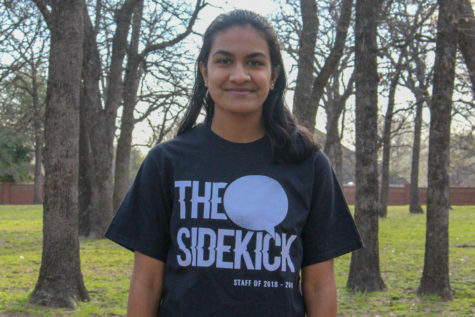 Last year, her artwork was showcased in the Dallas Museum of Art through the Young Masters program. This is just one of many awards she has won. Quan is currently in CHS art teacher Michelle Hauske’s AP Drawing class. Although Quan does not want to pursue art as a career, she wants to continue it as a hobby and possibly minor in it during college.